Antheraea polyphemus - Hodges#7757 (Polyphemus Moth) - imm. Size: approx. 15 mm. Photo: 06/27/12, 7 pm. 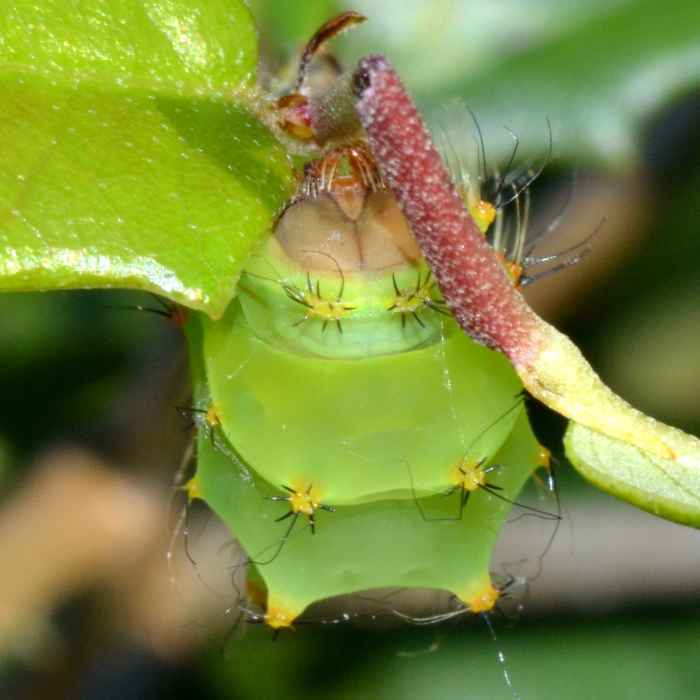 This common caterpillar is a larval Antheraea polyphemus. 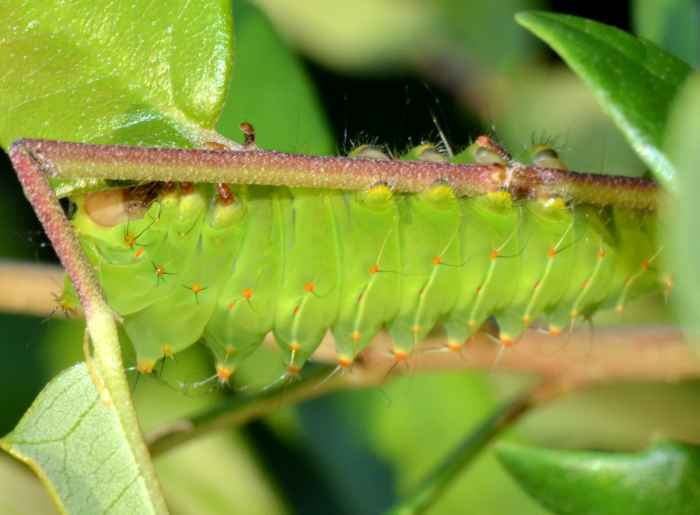 It is bright green, with reddish and silvery spots, and oblique yellow lines running through the spiracles on abdomen. The head and true legs brown. They can be found throughout the lower 48. 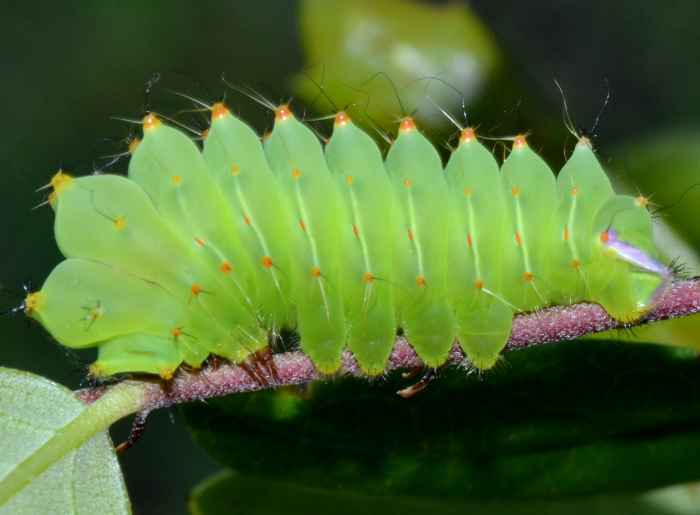 The caterpillar of the luna moth is superficially similar. The adult moth is large and brown with a prominent, round eyespot near the middle of the forewing.